Bermagui: Why Live in Bermagui? 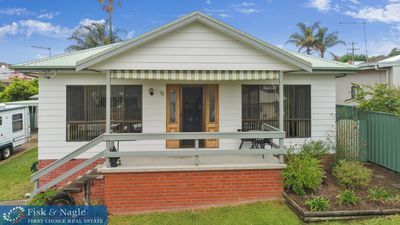 The Bermagui Real Estate is traditional in style, built from brick, weatherboard and tile. There are natural materials used too, like red cedar and timber. The homes on the outskirts are set on acreages, while some are hidden away offering a rural lifestyle close to town. Many have ocean views and use solar power and water tanks. 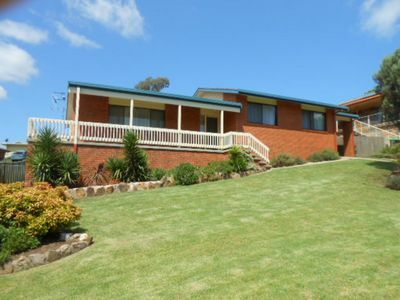 Living in Bermagui ensures a tranquil lifestyle with all the essential amenities. Bermagui township has various giftshops and clothing shops. There is a market on every month on the local sports oval that offers fresh local produce, handmade gifts and crafts. The town also has essential shops like a post office, a newsagency and a grocery shop. Bermagui has a pre-school, and a primary Public School. High school students travel to either Narooma High School, Bega High School or the Sapphire Coast Anglican College. Bermagui is half an hour from Narooma, 3.5 hours from Canberra, 5.5 hours from Sydney and 8.5 hours from Melbourne. The Bega Valley Coaches operate throughout the township, offering public transport. The nearest airport the town is located in Merimbula, with daily flights to Melbourne and Sydney. There is a local taxi service and school buses available for all aged school children. The continental shelf being at its closest point to the mainland, fine fishing is afforded off the shoreline. It’s where warm southern currents flow and the big game fish are in tow. Charter boats operate deep sea, dive and game fishing trips where black marlin and a chase of yellow fin tuna is a regular event. Diving boat tours operate from Bermagui to view sponges and gorgonian fans. Shore divers are also rewarded with sightings of spectacular gorgonian life. Surfers have many choices including Beares Beach, Moreheads Beach, Haywards Beach and Cuttagee Beach to catch a wave. The Blue Pool is a large saltwater pool which offers a different swimming experience and is a natural attraction not to be missed. Wallaga Lake and its surrounds gives many opportunities for bushwalking and observing wildlife including Mt Dromedary (Gulaga), Mystery Bay and Mumbulla Mountain. Black swans in all their presence gather their young, and bird watching enthusiasts can spot more than 200 species in the National Park fronting the western side of the lake and the foothills of Mount Dromedary. As the largest lake in southern NSW, there is swimming, fishing, sailing, boating, water skiing, and prawning in season. Boat hire and picnic and toilet facilities are available. The fishing is fabulous and the serenity of these natural surroundings offers a perfect place for a sail or swim. The bushwalking is endless. Mount Dromedary in Guluga National Park is the dominant natural feature of the area and can be tackled by serious walkers who will enjoy rainforest species along the way. From the summit, spectacular views can be enjoyed along the coast and seaward to Montague Island. A magnificent 18 hole golf course, lawn bowling rinks and all weather tennis courts are available in Bermagui. Right on the harbour in Bermagui, the Fisherman’s Wharf is the place to visit for fresh seafood, fine dining, casual coffee and food. Enjoy a wine with a view, or shop for fashions, local art, gifts and collectables. It is home to shops selling fresh seafood, Asian cuisine, Italian cuisine, a winebar, and modern Australian dining. The town also has a Country Club where the bistro offers a wide selection of new dishes featuring fresh seafood (including locally caught Kingfish), Scotch fillet steak, children’s and seniors meals, lunch specials and delicious desserts. The Montreal Goldfield is situated about 7kms north of Bermagui on the Wallaga Lake Road. It is the only goldfield in Australia that extends into the sea. Gold was discovered on the beach in September 1880 and a real gold rush soon occurred with miners mainly travelling from Sydney on cargo boats. A portion of the goldfield has been preserved as a community project and the tour by trained volunteer guides offers the visitors a unique experience. Tales of history, geology and an unsolved mystery are told, as customers wander through the beautiful tree fern and blood wood forest that covers the site today. Held on the 2nd Saturday in March each year, the Bermagui Seaside Fair is a multi award winning tourism event attracting around 10,000 people. The event has been operating since 1998 and includes a traditional Blessing of the Fleet ceremony, fancy dress street parade, over 100 market stalls, carnival, a sandcastle competition, helicopter joy flights over the scenic coastline, music and entertainment on two stages, quality arts and crafts and photographic exhibitions, pet pageant, kid’s novelty events, fireworks spectacular and more. It is thought that ‘Bermaguee’ (boat with no paddle) is derived from ‘permageua’, a word with an unknown meaning, from the vocabulary of the Dyirringany Aborigines who inhabited the area before white settlement. The port at Bermagui was established in the 1830s for the local dairy farmers and the town, planned in 1867, quickly developed into a fishing harbour. Gold was found on the Bermagui River late in the nineteenth century but the rush was short-lived as finds were disappointing. In spring the warm currents brought Marlin and Yellow fin Tuna close to the coast and charter boats would take divers, deep-sea and game anglers out to sea. One of the most notable figures to exploit this aspect of Bermagui was American author of ‘westerns’, Zane Grey who wrote of his experiences in An American Angler in Australia (1937) and his posthumously published novel, Wilderness Fresh. The town park is named after him and the local hotel has photographs and memorabilia of his stay.